Are you an agent needing advice on how to submit applications for your students to University of Plymouth? Find the help you need here. Prepare your students for successful applications to, and studies with, University of Plymouth by following these guidance notes. Before students apply, please be sure they have all the information they need about their chosen course, and the University. Make sure they apply for a course that the University actually offers, and that it's a full-time programme (students in the UK on a Tier 4 visa must study full time). 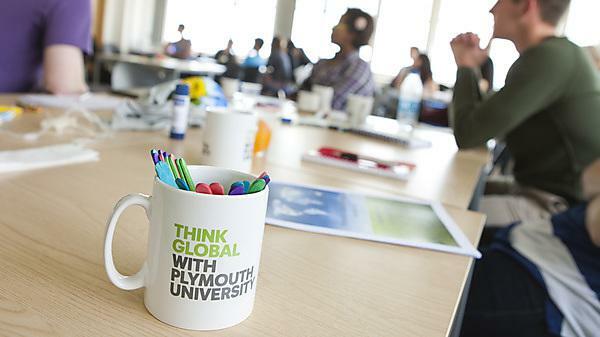 If you're not sure or have any questions email international-admissions@plymouth.ac.uk. If your student is applying via UCAS, ensure your agency name and address are in the contact field, so we can identify the student as coming via your agency. Once the application has been submitted to UCAS email the International Admissions team at international-admissions@plymouth.ac.uk to let us know. For direct applications (not via UCAS), please use our undergraduate application form. Once completed this form should be emailed to international-admissions@plymouth.ac.uk. original (or officially certified copies) of qualifications (certificates and transcripts) to date e.g. A levels, IB, HND, etc. Complete our online application form, which you can find on the course pages. Please note that if you are completing an application form on behalf of a student, it is vital that you use the applicants email address to register to avoid multiple applications being registered using the same email address, thus causing duplication issues. There is an opportunity for agents to include their contact details within the application as well so you will still receive the relevant correspondence from Plymouth University. Visit the Doctoral College website for more information on research areas and applying for a postgraduate research course. When applying for any course, students must enter their name exactly as it appears in their current passport. At first, you may send application documents by scanning and emailing them, and we will consider your student’s application based on these. At a later stage we'll need originals or officially certified copies. You or the student may therefore wish to send these with the initial application. University certificates and transcripts, if not originals, must be certified true copies by the university issuing them. Once a student is offered a place by the University they'll be emailed a conditional offer letter. Once they meet any conditions attached to that offer, the student will need to submit a £2,000 minimum tuition fee deposit. Details on how to do this will be sent to the student once they reach this stage. Once all conditions are met, the pre-CAS checklist is completed, and a deposit paid, the University will issue the student with their CAS (Confirmation of Acceptance for Studies) number. They'll need this for their visa application, which we trust you'll be able to assist them with. Contact the International Admissions Team if you have any queries about a submitted application, email international-admissions@plymouth.ac.uk. By submitting an application to University of Plymouth, applicants and agents are confirming that the information is true, accurate and complete. Applicants should not omit any requested or relevant information, make any misrepresentation (e.g. plagiarism), or supply fraudulent documentation as part of their application. The University reserves the right to refuse an application, or revoke an offer of a place in such circumstances.